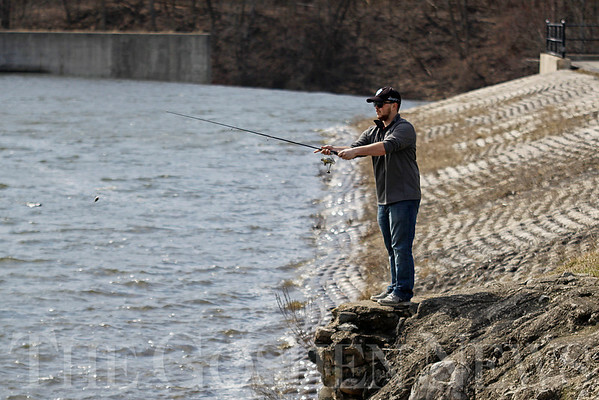 Tylan Coblentz of Goshen tosses a lure into the Goshen Dam Pond Tuesday afternoon while fishing. Coblentz said the weather was perfect, as high temperatures reached the low 70s, and had caught an 18-inch pike. Rain is likely over the next three days.